FREE Event – 4 Massive Mistakes Even Successful Entrepreneurs make that keep them from making the jump from 6 to 7 figures! that Keep Them From Making The Jump From 6 to 7 Figures! If you are in business for yourself you won’t want to miss this event. This is a one hour event. Your presenter for this event will be Douglas Vermeeren. Douglas Vermeeren is the director of the SUCCEED Research Center which is dedicated to sharing research on the systems that top achievers use to create lasting success. Over the last decade Vermeeren has interviewed more than 400 of the world’s top achievers, including business leaders, celebrities and professional or Olympic athletes. Expectations are imposed upon us from all sides. Expectations as to what our success looks like, expectations of what kinds of cars and clothing we should be wearing and also expectations of the kinds of things we will have to do to get there. While expectations may serve us beneficially in some regards, generally speaking the expectations of others can hinder us from finding our best self and what it is we really want. I call that quest, exploration. Exploration is our ability to live our life from a place of authenticity. To explore the things that we want, seek and wish to become. For most in today’s society they rarely venture far down the path of exploration. Expectation demands to much from us to allow for that kind of freedom. As a result, most of us feel an empty desire to seeking for more to fill the void left from lack of self fulfillment. More cars, more clothes, bigger houses, more toys and the sometimes even artificial quick fix relationships to replace the ones that we won’t work at,because expectations are that things should come easy. These false expectation come first from outward sources. People around us tell us how we should measure achievement and success. They paint for us what failure looks like and how people will feel about us if we don’t measure up. We see these lessons in everything from our advertising to characters in fictional stories. These lessons are then translated into the lives of the people we interact with daily. Our world becomes so saturated with these expectations that we begin to ingest them into our belief and value systems. Many of these false views of success in the end are totally unobtainable. Like the perfectly airbrushed vision of beauty, or the lifestyles of the rich and famous or the argument free life of the perfect family on your weekly sitcom. These expectations create in us the feeling that we are imperfect without these things and we spend our lives chasing this unobtainable destination. What’s worse than these exterior expectations placed upon ourselves are the ones we place on ourselves. We begin to expect realities that don’t exist. And because they are unobtainable we suffer a multitude of challenges when they cannot be reached. Aside from decreased self esteem, challenged confidence, wasted efforts, challenged relationships, workaholism and resources that are thrown away there is one tragedy that superimposes then all. The exploration of self. Upon close examination of all top achievers, today and through out history, we find a significant belief and trust in self. Indeed, even a commitment to self. How can this be found? The first step to believing and trusting self is to find self. This is not a quick process. This is the process of exploration. Almost like with an onion it involves peeling back layers, one at a time, to find the character and individual revealed inside. When you can find the true nature of who you are, what you want, what you are excited or passionate about magical things begin to happen. In fact, through this process you will the true path to creating lasting success. Finding this path is what we teach in our “Finding your Brilliance” seminars. That is really what success is all about. Finding out what your “Brilliance zone” is and tapping it to it, unleash your strongest and powerful self. The outside world would have you identify a comfort zone and then encourage you to step out of it. Do everything that’s new, the things that you are afraid of and find ways to push yourself to new limits. Top achievers don’t work that way. When we grow in this area of our lives we will find greater excitement, more motivation, recognize more opportunity and even our ‘groove.’ Groove of course, is not a scientific term. But how can it be described. It is almost zen like. When we are functioning at our highest level of self and it becomes effort less. These are the moments when inspiration can take our work to a productivity level that passes the ordinary. That is where success and top achievers are born. My challenge to you is to realize that much of what you are doing today may be the result of expectations. Conditioning placed upon you by the society outside of you. You have internalized and are working to fulfill these mostly false expectations about what is needed to make you successful and happy. It is time to pause and take a closer look. A time to explore inside who you really are and what you really want and most importantly why. As you journey to the inside of your being you will begin to find the keys that will unlock your possibilities and create greater successes. It is only with your brilliance that you can live from inspiration. It is only by being inspired that you can lead an inspiring life. And an inspiring life is one that is successful and makes a difference. Those are the true successes of the human race. How do you see Success? Do we see things as they are or as we wish them to become? This has long been the argument of philosophers. Is it more advantageous to see the world realistically for what it is, or do we become positive thinkers and see the world from only an encouraging perspective? The personal development industry has champions on both sides of the fence. Some being so bold as to say that without the factual starting point of truth there can be no progression. And the other side of the argument contending that without a positive perspective and interpretation of every action, cosmic forces that be can never reward an individual with success. At the SUCCEED Research Center we have been very interested to discover where the results really exist. As part of our study we observed groups of high achievers primarily in business over a period of 12 consecutive months. Along the way we had them complete surveys and interviews with us indicating how they made most of their key decisions, identifying contributing factors and fears. As part of this study, we tried to determine in all cases if these decisions were based on facts and opportunities at hand or a yearning to create an ideal reality based on positive optimism. Our results indicated something very interesting in regards to this subject. The achievers view of reality was generally a reflection of their positive or negative expectations. They were creating their own illusions of reality. If the out look was great so was the interpretation of the facts. As a result when the facts were positively interpreted all the future expectations increased in positivity. They were making their decisions based on interpretation and expectation. Facts were quite irrelevant. In other words, the top achievers were not creating results according to facts, they were indeed creating the facts as well. There is a scientific term for individuals who recreate fact to suit their needs and desires. They are called “Counterfactuals.” Most top achievers are counterfactuals. Top achievers tend to see the world in a way that empowers them and as a place of possibility. Even when a door closes they see or create the open window that replaces it instantly. After having experienced this a number of times, they expect an open window, even where it seems logical that one would not exist. They are innately optimistic and focused on the end result arriving in a positive way. Facts that appear to be in conflict with their destination are given very little credit. In addition to simply visualizing the outcome in a positive way, talking about the outcome also significantly increased the achievers ability to create it. Talking about the result before it occurred was a strong exercise in imagination. How else could could you talk about something that hadn’t yet occurred. As a side effect, it was also determined that as an individual spoke about the challenges of the task they discovered answers solving for that task as they spoke. Now that’s imagination in action. In conclusion, Do we see things as they are or as we wish them to become? The answer is yes. Have you ever set a goal and wondered why you couldn’t accomplish it? You are not the first person to feel this way. In fact, studies show that more than 86 percent of people who set goals fail. And, of those who do succeed, a surprising 30 percent find they are not able to maintain the newly acquired success in the long term. So, why even set goals? The truth is, the traditional goal-setting method is no longer effective, even though most teachers, books, trainers, coaches and schools are still teaching it. You have no doubt heard this method many times: write it down, set a date, make an action plan, and build the steps backwards from success. Unfortunately, this is NOT the correct formula for success. The world’s top achievers – the best of the best – achieve success by doing things a bit differently. Why top achievers don’t use traditional goal setting: The traditional goal-setting method was developed in the late 1800s in the manufacturing industry; if you wanted to produce X number of units at the end of the assembly line you would need to do A, B, C, and D and presto – you would get X number of units. While this method works well in factories, it will produce limited, short-lived results for people. The problem is this system only takes the process into account, not the participant. We are human “BEings” not human “DOings.” This common formula teaches what we can DO but not what we can BE. Without a significant change in our thinking, behavior and expectations, we can never develop a habit of success – one that develops regardless of the process we use. Goal achievement is not just about process; it must first address the participant. If you want long-term success, being the right person is just as important as doing the right things. Top achievers get clarity on why they are going: Many goal-setting coaches encourage their students to gain clarity on where they want to go in order to get there. While this idea is accurate, most people fail to define what clarity really is. Many describe clarity as a description of the final destination – where you see yourself in 10 years? Anyone who has tried to define clarity this way has found that it’s extremely difficult to describe where he is going if he have never been there before. Therefore, this definition of clarity is incomplete when used in the context of goal achievement. While you should outline as many of these details as possible before you begin on the road to achieving a specific goal, you must understand and accept that no matter how hard you try, you can never really have a complete picture of that end destination. Clarity is strongest when it focuses on an “inward now,” instead of looking at a “geographical location.” In other words, clarity has more to do with why you want something than with what you want. Instead of just trying to describe where you are going, ask yourself why you are going there. Top achievers don’t think of success as crossing a finish line, they think in terms of running the race: It’s very interesting to see posters encouraging people who endeavor to capture their success by crossing a finish line, because the truth is, true success has no finish line. Top achievers understand that success is a continual process, and the successes and failures of today are used to build the powerful experiences of tomorrow. Every opportunity today is contributing to an opportunity tomorrow. Every experience contributes to learning. If you cross a finish line today only to rest tomorrow, how can your success continue? Look for ways to continue to grow and expand, and uncover ways to build each success upon the next opportunity. Top achievers set their goals differently, and that is why they achieve successes that others only dream about. Learning to “BE” instead of just to “DO,” gaining true clarity by finding out “why” and committing to continual growth is essential in the achievement process. When you understand and implement the principles of top achievement, dramatic changes will happen for you. It has been said that what we think about is what we will become. It can also be truly stated that what we think about comes from where we physically are. Everything you take into your mind, and associate with, will have a positive or negative influence on your thinking. If those activities and locations become regular habits the patterns of your thinking will follow them until you see them effect your external results. What you surround yourself physically will make a huge difference on what you think about. Starting with your office space or place of work. Is it organized and clean? You may think this a little thing but your environment will effect your thinking. While in China I learned about the ancient system of aesthetics that goes even further than just keeping your workspace tidy. Feng Shui, which in Chinese means “wind/water,” is the belief that by using the laws of heaven and earth you can draw positive energy to yourself. While I do not know exactly how it works I do know that when the areas that I work in are organized and peaceful my energy is better. Along with locations that I work in the place where I go also have a significant bearing on my thinking. In my own personal experience I do a lot of traveling. With the speaking industry it seems I am almost always on the go. As I travel I am always trying to organize research I am currently involved or write my latest book. I especially noticed how different locations and environments influenced my thinking as I wrote Guerrilla Achiever. I could feel my thoughts elevate when I was writing comfortably in a five star hotel in downtown New York versus when I was trying to balance my laptop on my knees in the busy airport lounges of various cities around the globe. One quick note on how you spend your free time. First there is no such thing as “free” time. Every moment is an investment. Even the time when you are playing with your children or out to dinner with your spouse. That is an investment in something you value. So what about an investment of your time in front of the TV for a few hours or on facebook for the night? Studies have found that spending more than moderate idle time in front of the TV or computer screen becomes addictive. This activity begins to deteriorate the speed at which your mind can solve complex problems and also cope with human interaction. Don’t believe us? Just try starting a conversation with someone in the middle of watching the latest, greatest reality show or checking their friend-count on facebook. Were they cordial and friendly? You are the same way when you’re in their seat. These kinds of behaviors do not contribute to success achievement in any way. There are many positive associations and groups that you can join that will give you power to get to your goals. Many of these groups will help you recognize possibilities that you have not yet seen. Many of them will introduce you to individuals who will have answers and solutions to issues you are facing. What is my current location? Does it allow me to think with clarity? How is it contributing to the goals I am trying to create? How could it be better? Do my entertainment and free time activities provide value? What could I do with my free time that would add value to me? Do my associates inspire me to want to be better? How can I spend more time with people that can lead me higher? In conclusion, my challenge to you is to think carefully about the things you are surrounding yourself with. When you find inspiring, organized, clean locations to be in your thoughts will also become inspired, organized, clean and clear. When your activities have value your results will become more valuable. And when you associate with good people you can’t help but experience good things. It sounds pretty simple, but it’s not that easy for many people to do. Fine tune these elements in your life today and you will see positive improvements. It is this kind of geography that will allow you to think of things you have never considered before. And when you begin to think like you’ve never thought before you will recognize possibilities you have never seen before. And acting on those new possibilities is the beginning of becoming a top achiever. The Journey Movie is coming! It is with great excitement that we announce the the coming of The Journey Movie! This new personal development film features many top personal development teachers like: Brian Tracy, Bob Proctor, Mick Moore, Don Boyer, Melinda Boyer, Dr. Joe Rubino, Kandee G, Nik Halik, Glenda Feilen, Ridgely Goldsborough, Vic Johnson, Judi Moreo, Rollan Roberts, Dr. Dallas Humble, Lisha and Kari Schneider, Matt Brauning, Kimberly Adams,Dale Halaway,Dr. Letitia Wright and of course, Myself, Douglas Vermeeren. The format of this show, I was told by the producers, will be quite different than any of the personal development films out there so far. I am quite excited to see the finished product. The site also features a trailer and additional cast information. 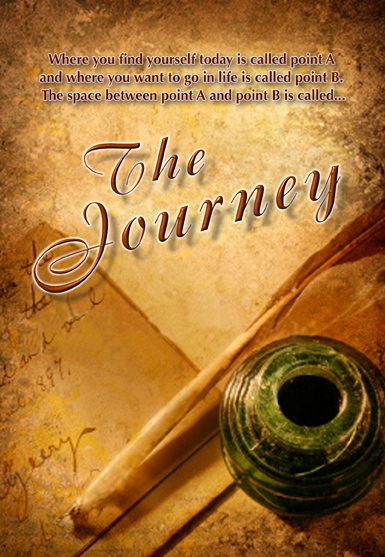 The new personal development movie The Journey is coming! The purpose and mission of this blog- Your Success! All human beings have amazing potential to accomplish incredible things. Marvelous things are achieved in nearly every endeavor of human experience. We have discovered medical cures and procedures that prolong life and cure disease. We have journeyed and discovered distant lands and now have even begun to explore planets other than our own. What we are attempting seems to be coming towards us faster and with more convenience, intensity and comfort than ever before. Human athletes have set records only to be broken shortly thereafter by others who would follow running faster, climbing higher, jumping further and pushing themselves harder than was thought possible. Financial prosperity among us has also grown. I recently read a report that in the year 1900 there were only five thousand millionaires in America. One hundred years later, in the year 2000, it was found that we now had more than five million millionaires. (And it is incredible to notice that most of them were self made inside of a very short time span of only ten years.) Experts are now predicting that the number of millionaires will continue to increase by another ten to twenty times the current number in the next twenty years. The message to us is that these incredible opportunities are available to everyone. Anything you seek after can be attained if you follow the right path or system to get there. But what is that path? Is there a system? Finding such a path has been the subject of investigation for me formally for the last ten years, informally perhaps I could say my entire life. I have attended scores of seminars, read volumes of books and listened to hours of audio programs. I have found a lot of great stuff which has made a difference for me. But it wasn’t enough. I was intrigued that the teachers who were inspiring me shared many stories of real life successes, people who had actually achieved success. So I determined that logistically that would be the next step, I needed to be taught directly from those top achievers. I began to seek them out and conduct my own interviews, research and many cases establish lasting friendships. I found that while much of what I was taught in the seminars and books was useful, there was more to understand about success. Alot more! Although I am an author, speaker and filmmaker, presenting much of my research, my passion is still discovering the formulas of success. I enjoy the detective work. On this blog that will be my purpose. My goal will be to give you some insights, strategies and tools to help you in the pursuit of the goals you are seeking. I invite you to join me for the success formulas that go beyond the seminars.